Clipping Chix: Giant PA: Barilla Pasta Sauce $0.75/1 Printable Coupon! 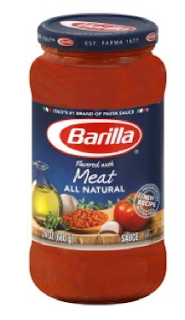 Giant PA: Barilla Pasta Sauce $0.75/1 Printable Coupon! This sales cycle at Giant PA, Barilla Pasta Sauce is on sale for $2. Add a $0.75/1 printable and pick it up for as low as 50¢, if your Giant fully doubles this coupon! Don't forget, you can print two coupons per computer too!